Andrew Higginson is to step down as chairman of Manchester-based retailer N Brown, the group behind brands including Jacamo and JD Williams. The company announced that Higginson, who has served in the role for almost five years, will be pursuing opportunities in private equity. Chief executive Angela Spindler said: "I would like to thank Andy for his support and advice since my appointment as CEO almost four years ago. Andy has led the group during a period of significant transformation and his dedication and insight have made a significant contribution to this process." 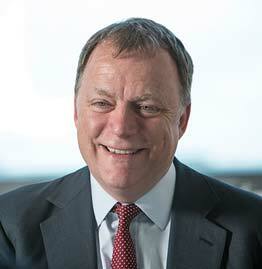 Higginson, who spent 15 years as an executive director at Tesco, is also chairman of Morrisons Supermarkets Plc, and a non-executive director of Woolworths Za (South Africa), McCurrach Ltd and the Rugby Football Union. He said: "It has been a privilege to chair the company through a period of transformation to a digital business. "Angela has established a strong and capable team, the benefits of which are now visible. I am stepping down in order to free up capacity to pursue opportunities within private equity in my portfolio, but I look forward to following the progress of the company in the coming years and wish the business every success."